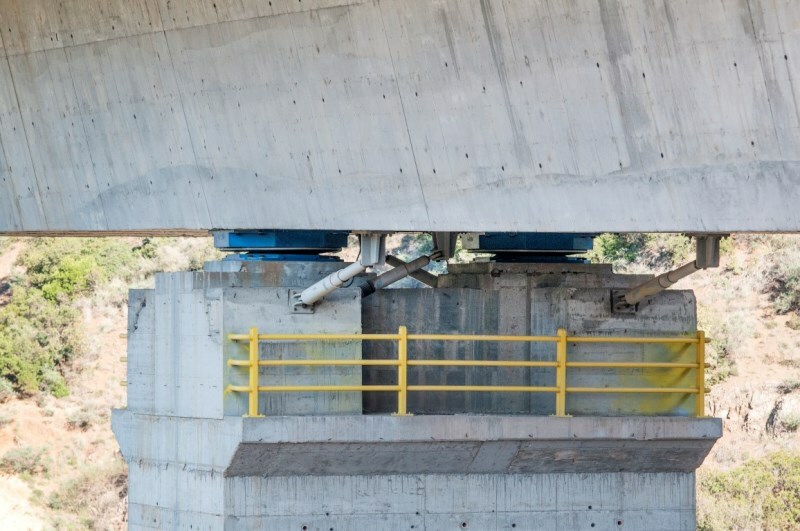 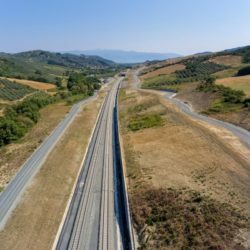 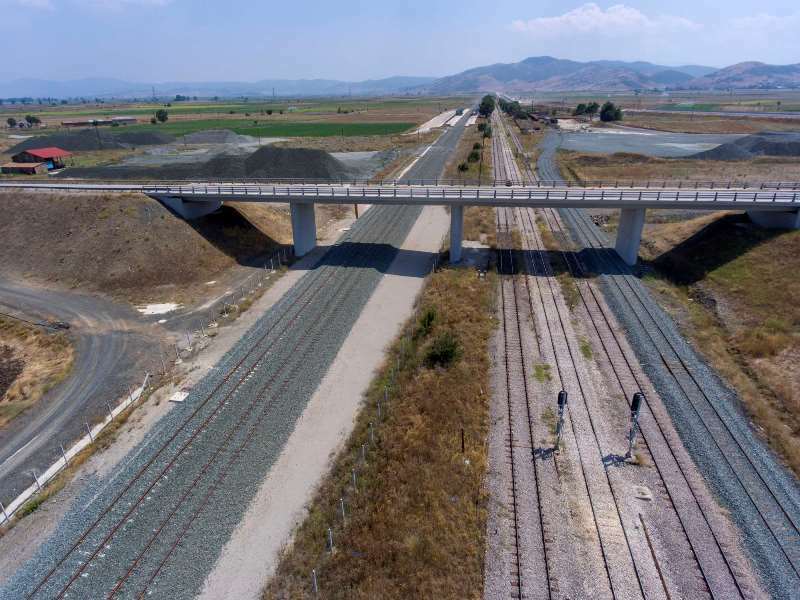 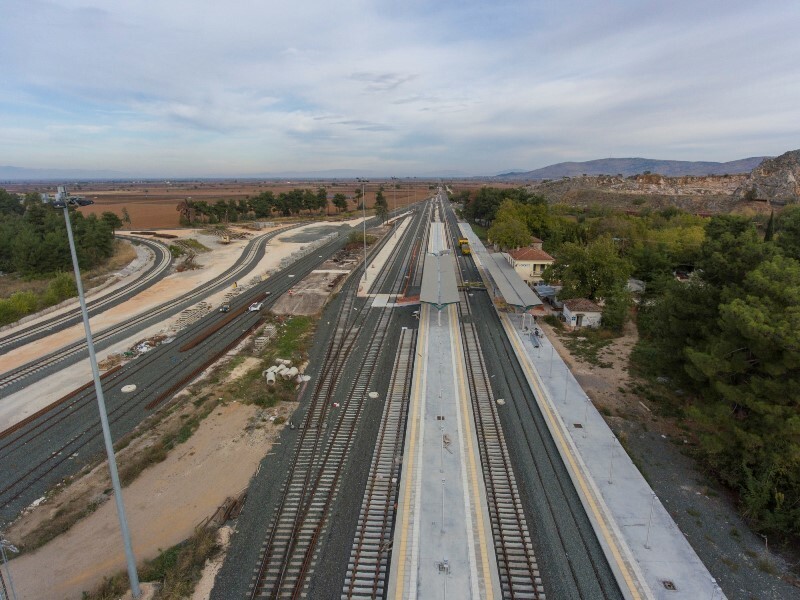 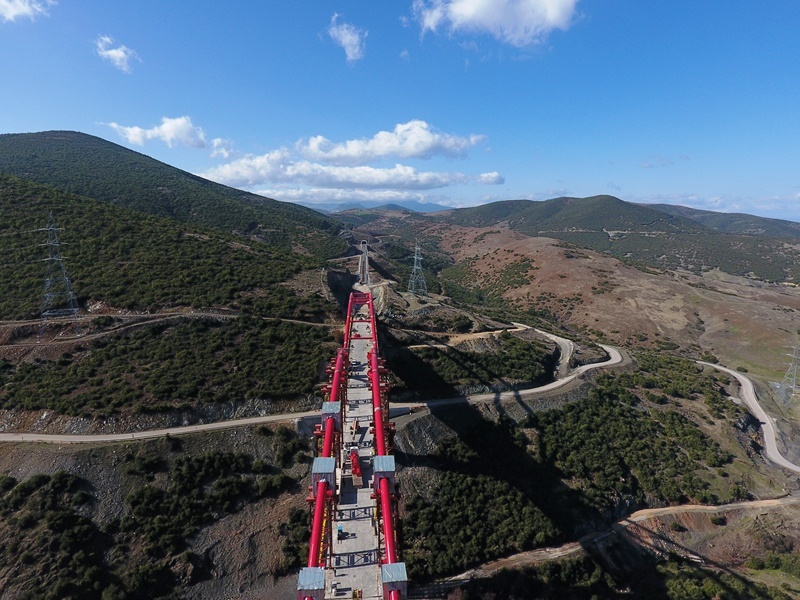 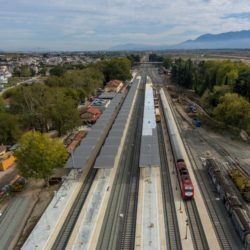 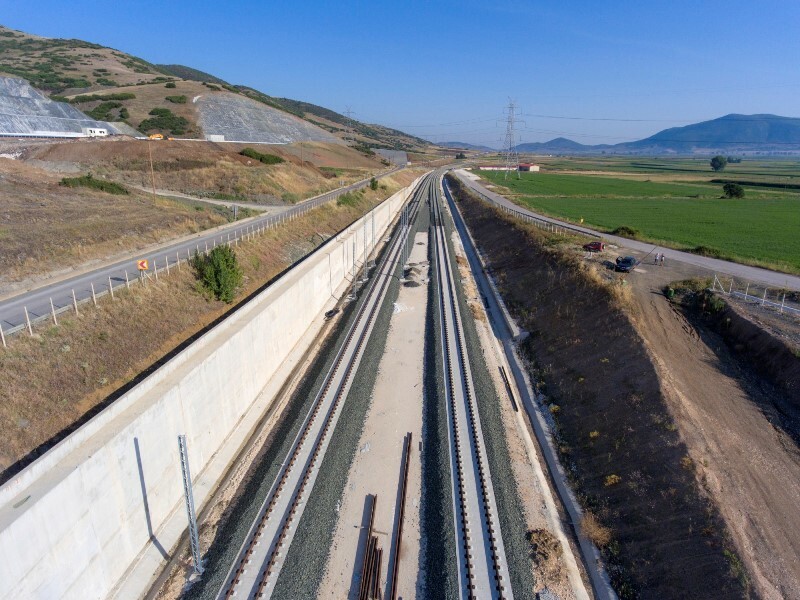 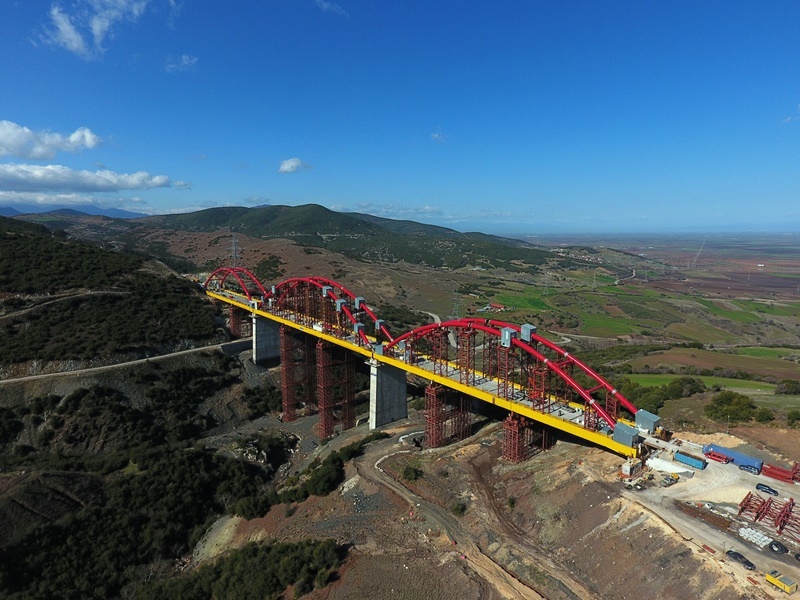 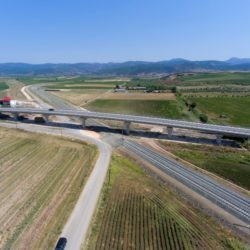 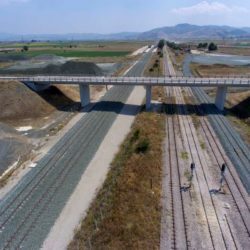 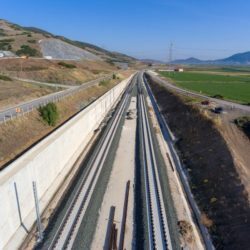 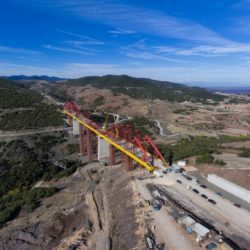 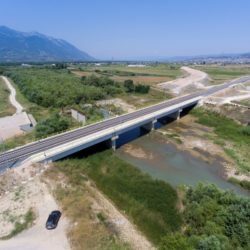 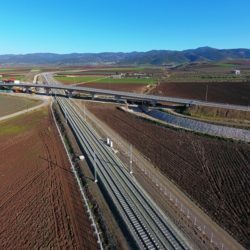 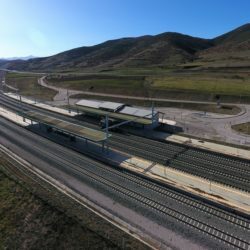 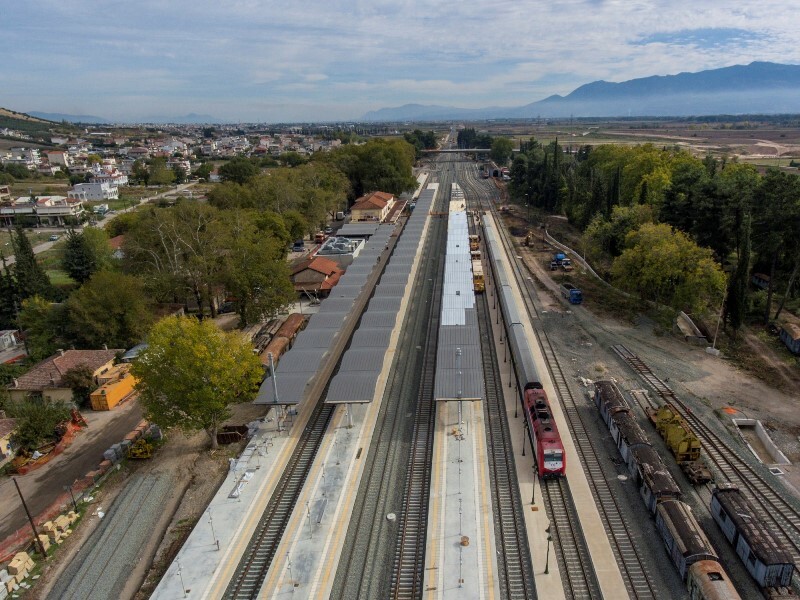 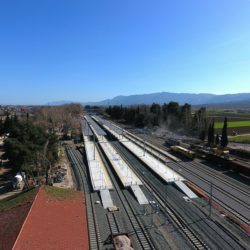 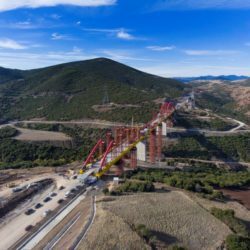 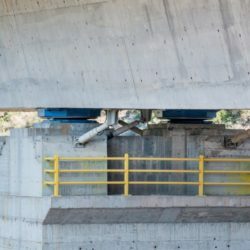 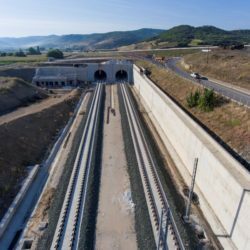 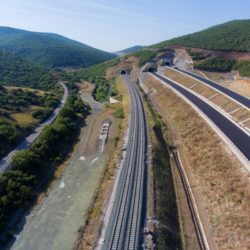 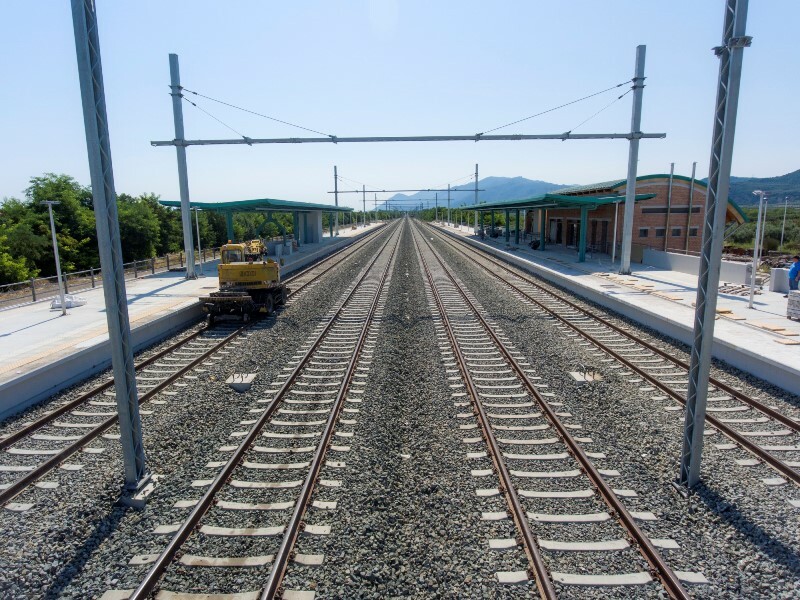 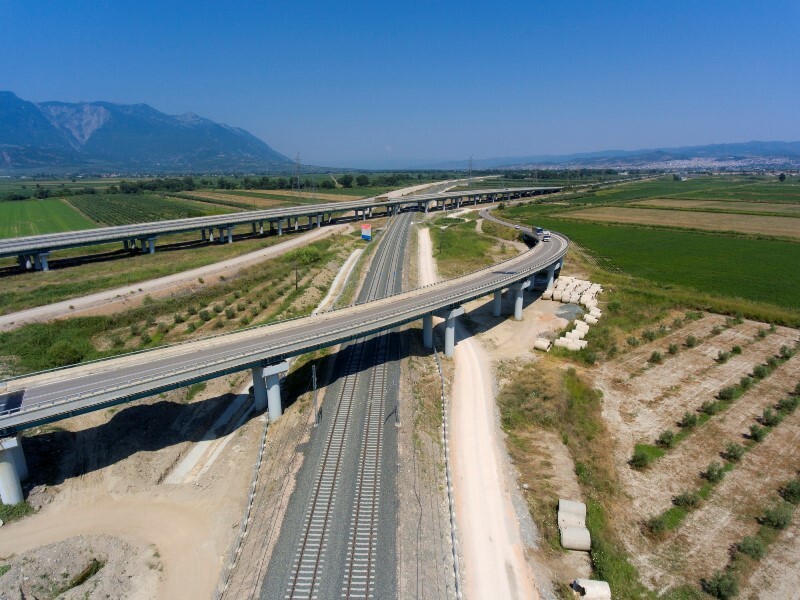 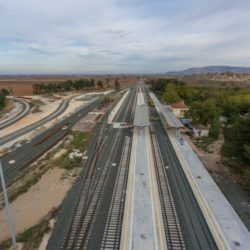 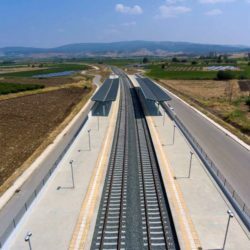 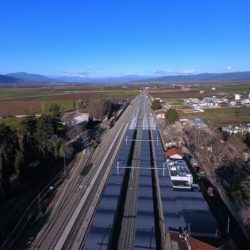 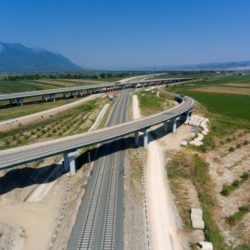 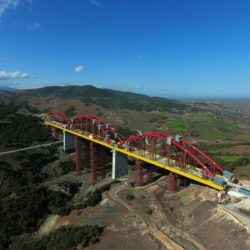 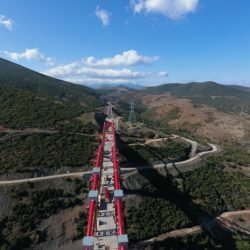 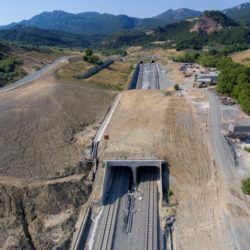 The project involves the construction of the New Double High Speed Railway Line Tithorea – Lianokladi – Domokos which replaces the mountainous part of the existing single line, 122 km long, with a New Double High Speed Railway Line, 106 km long. 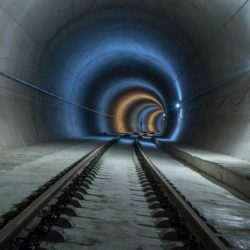 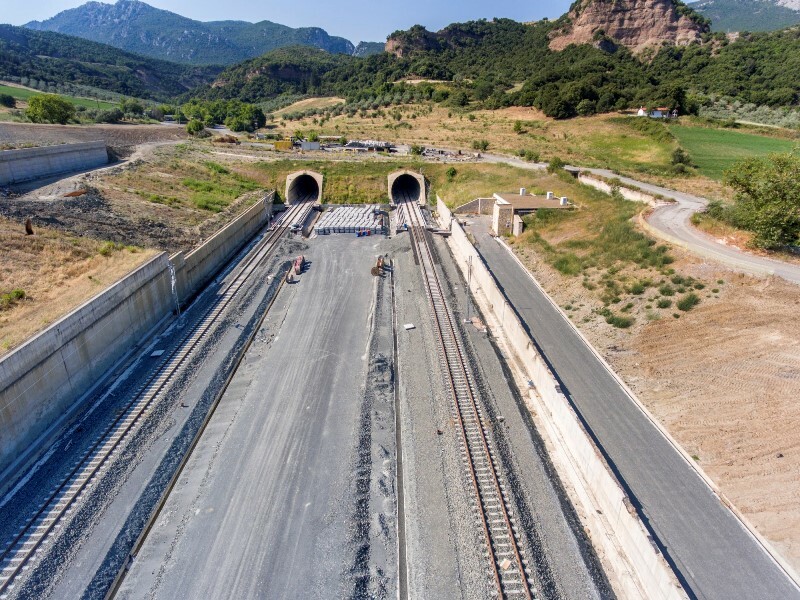 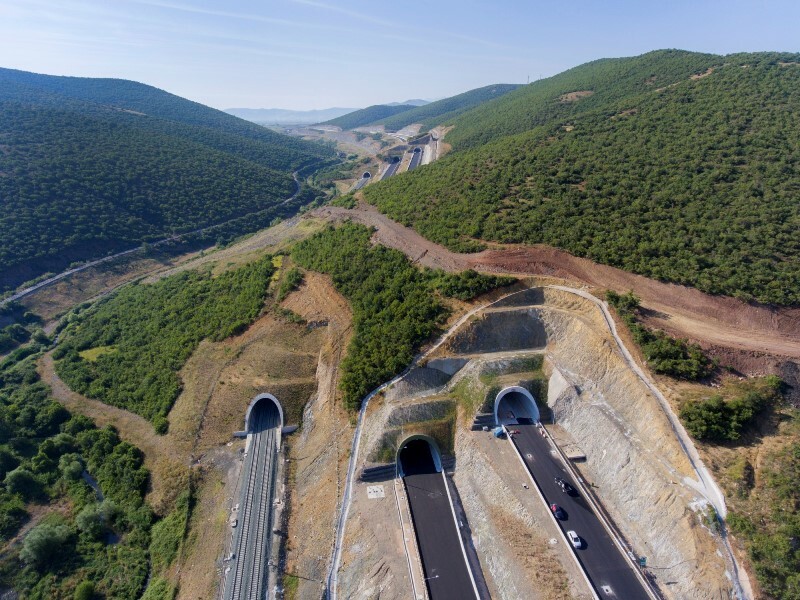 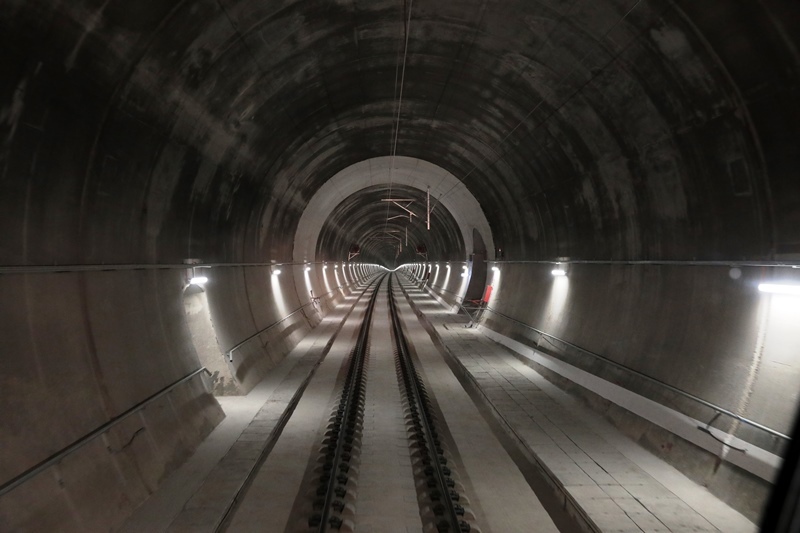 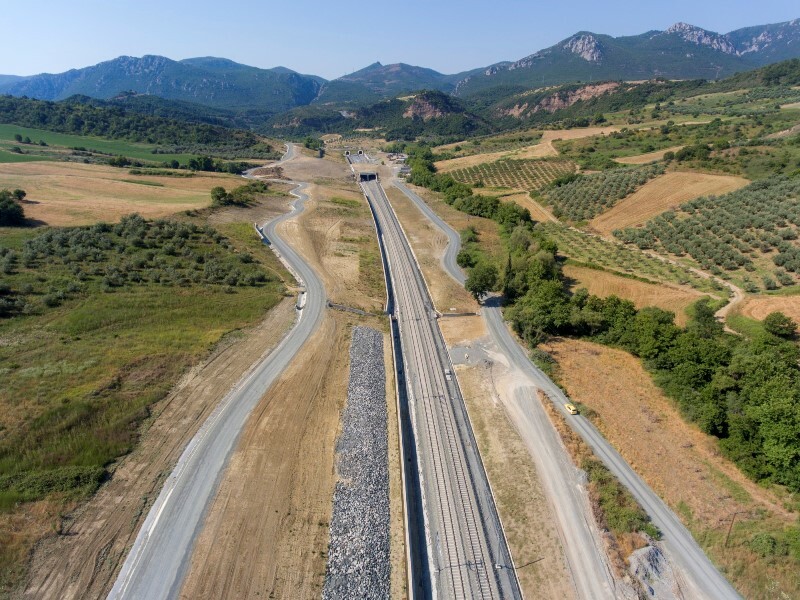 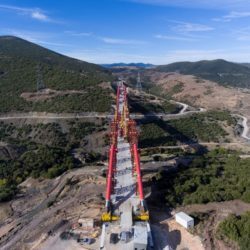 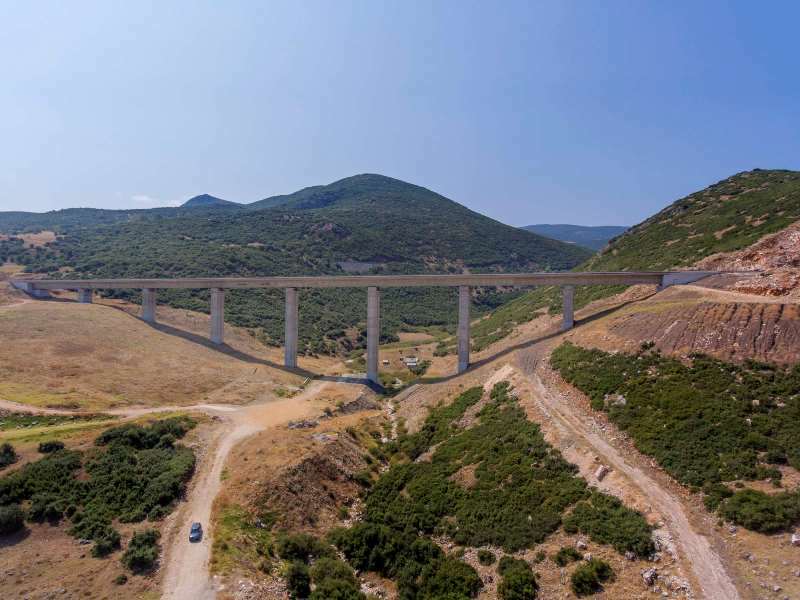 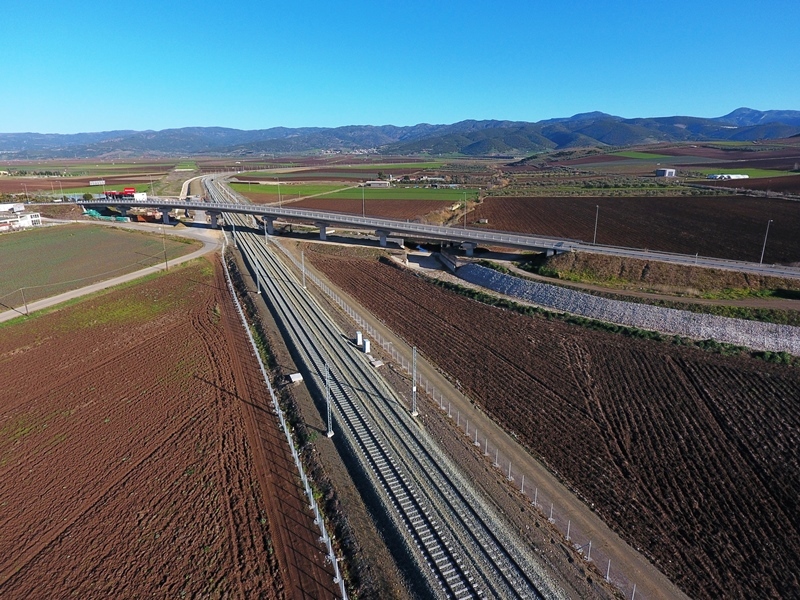 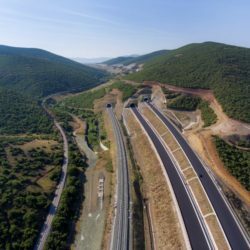 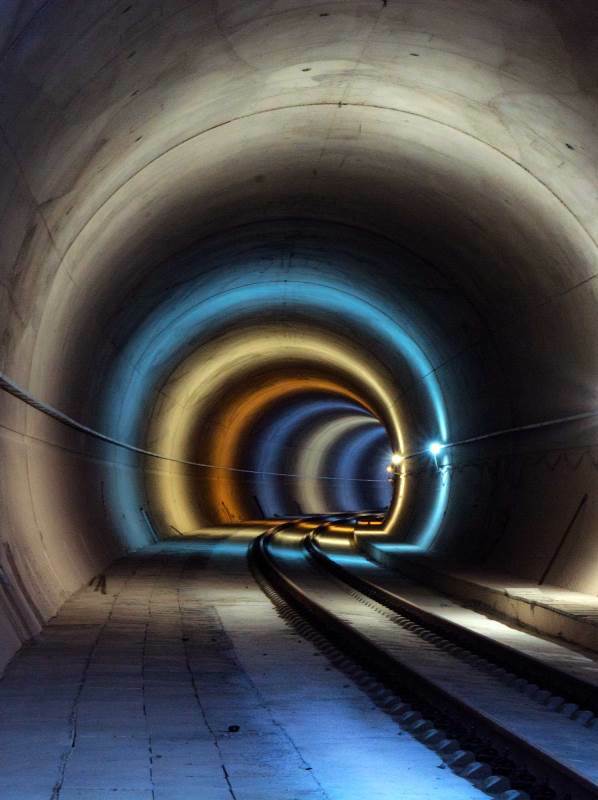 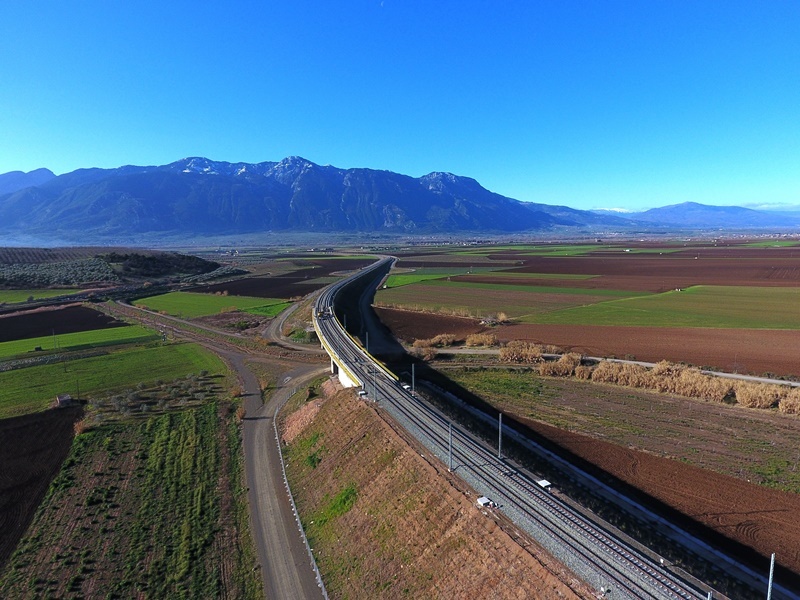 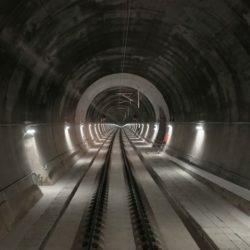 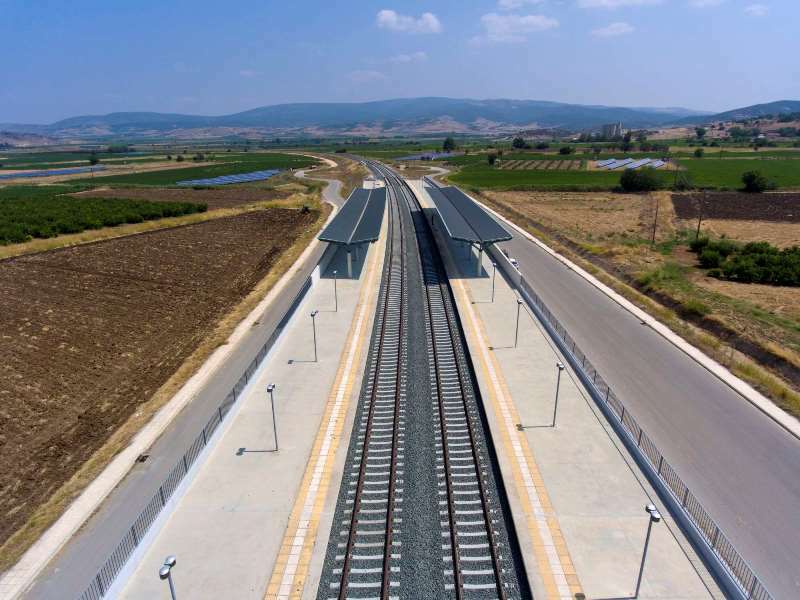 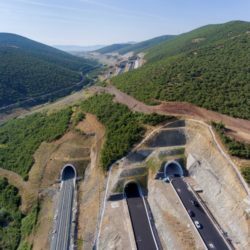 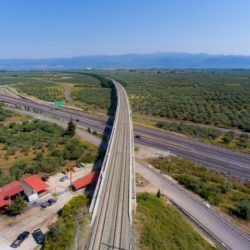 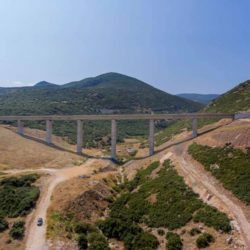 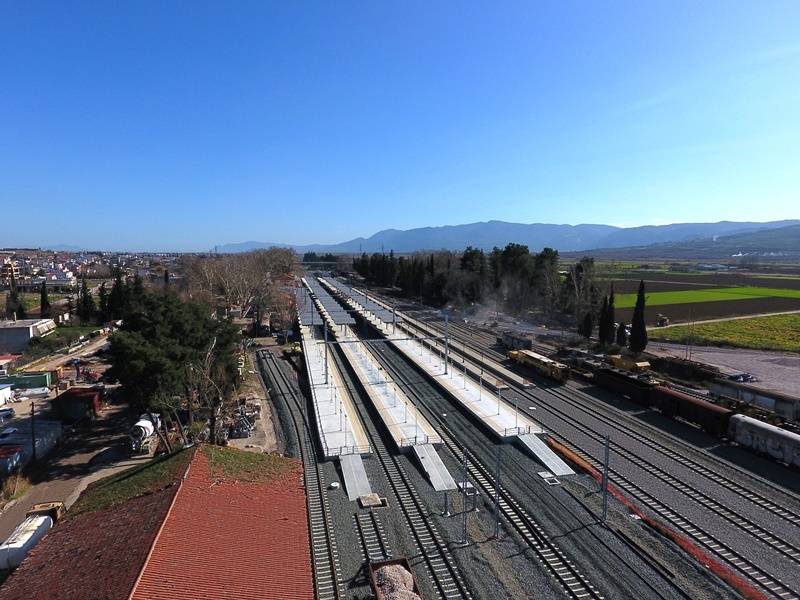 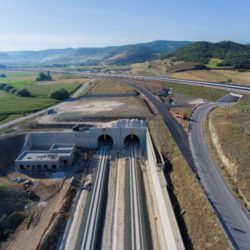 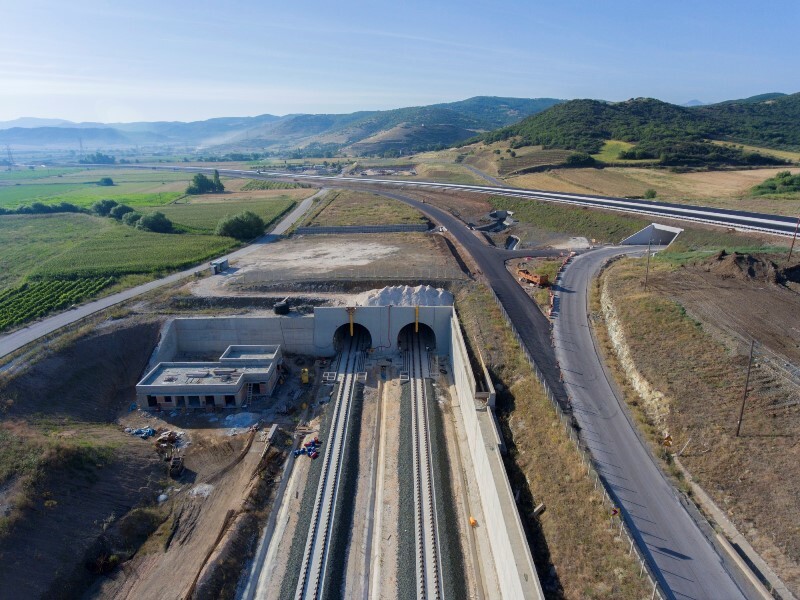 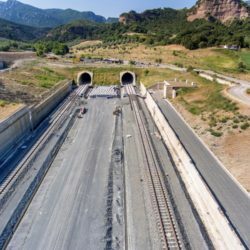 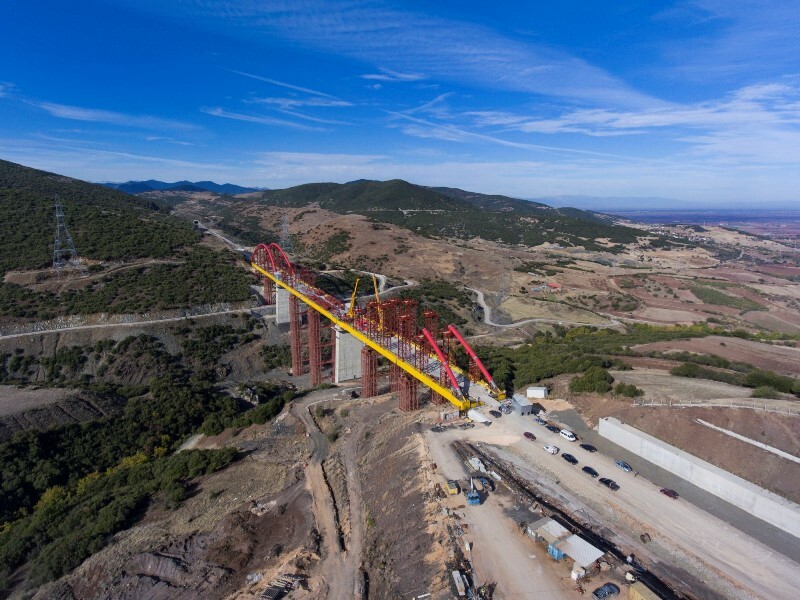 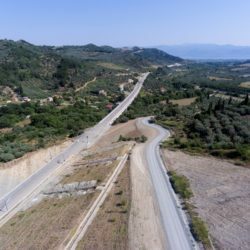 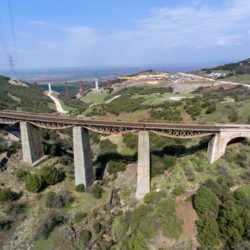 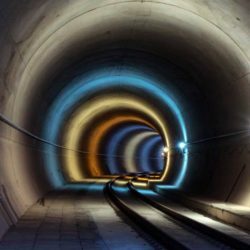 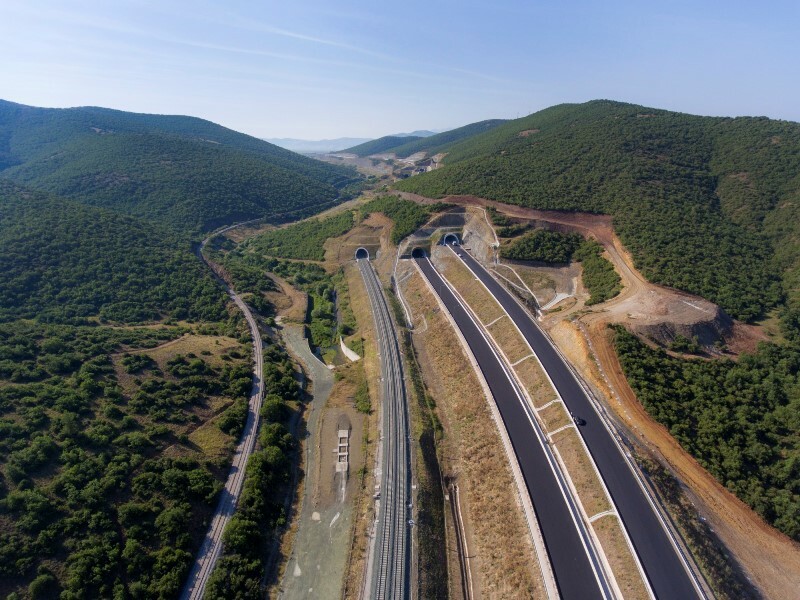 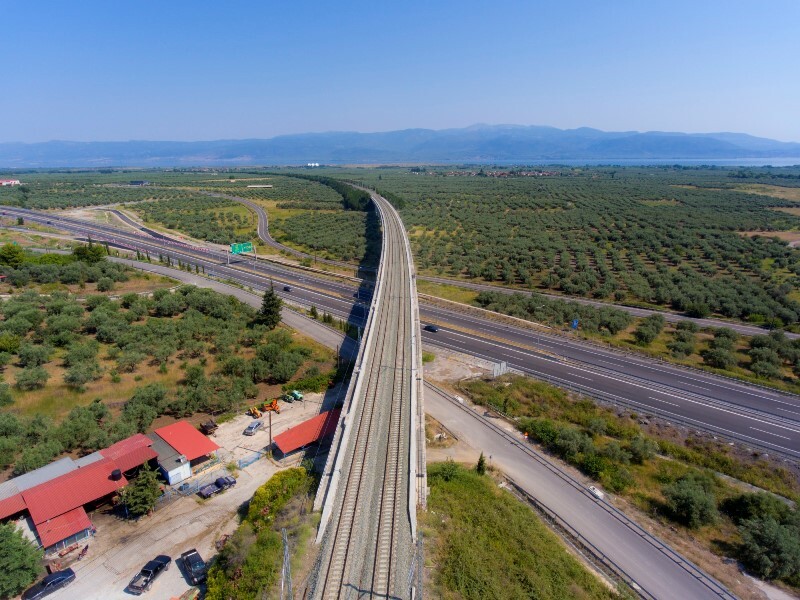 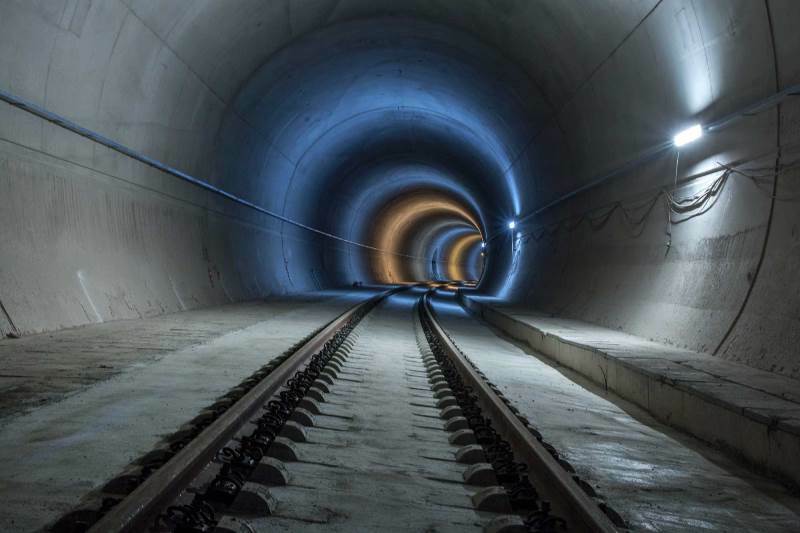 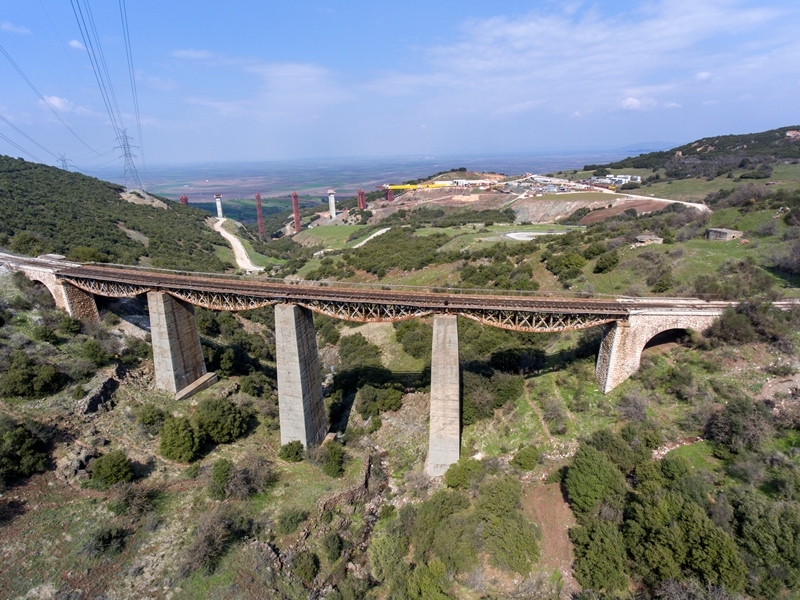 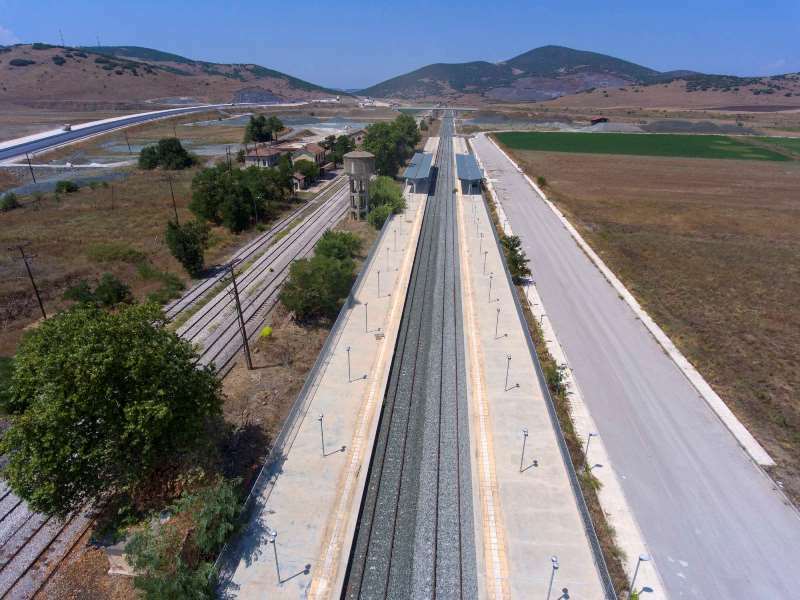 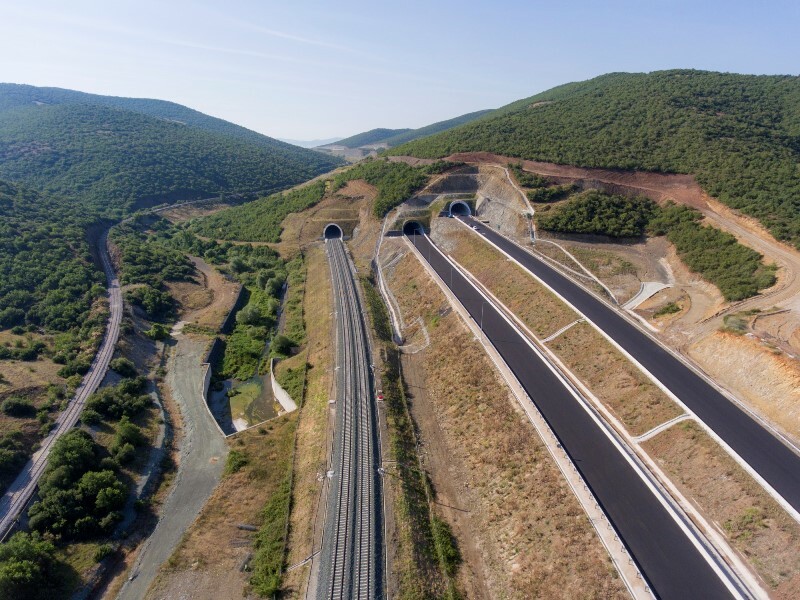 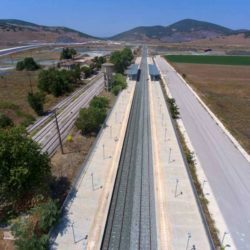 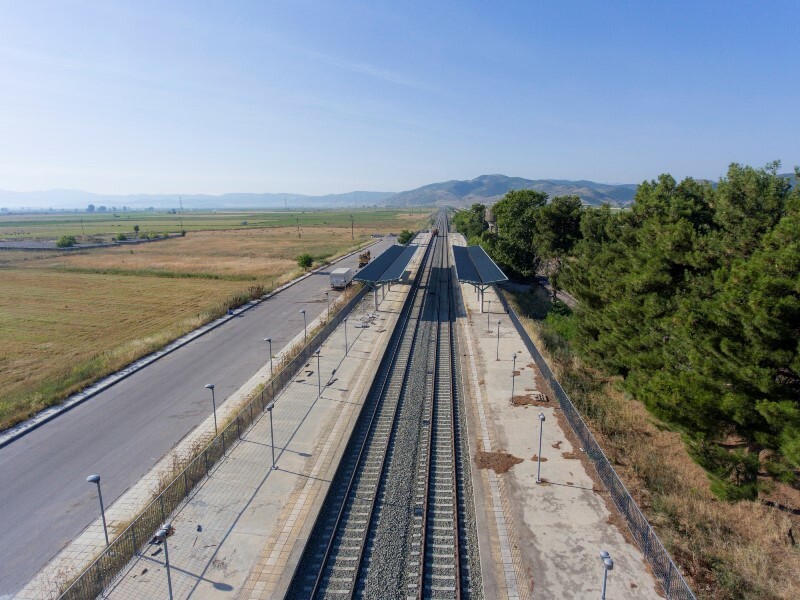 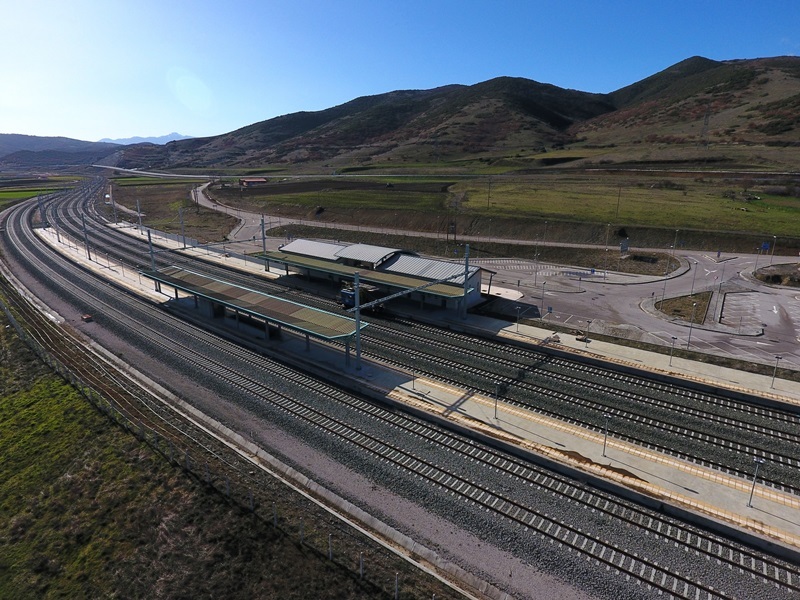 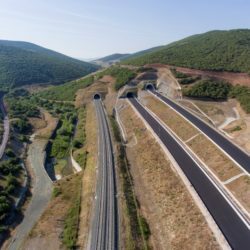 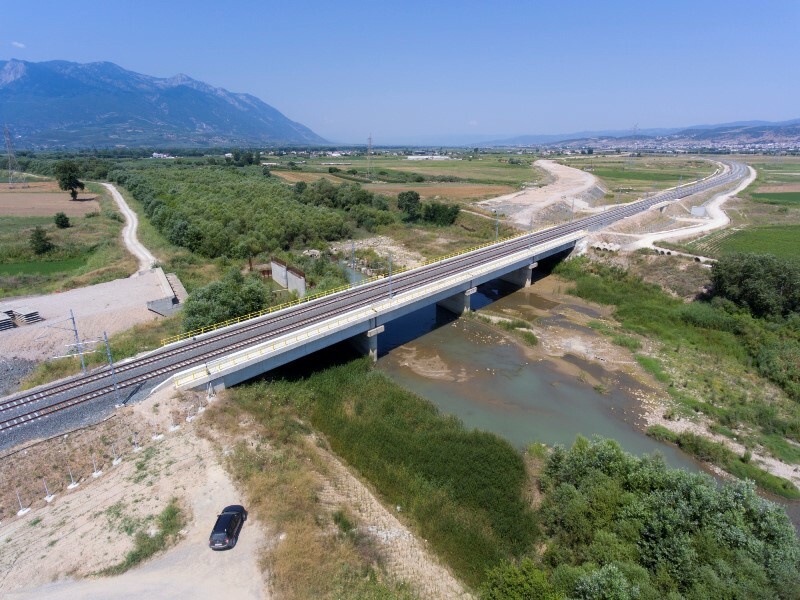 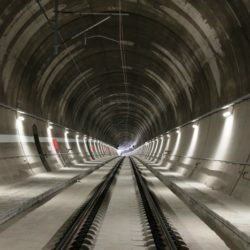 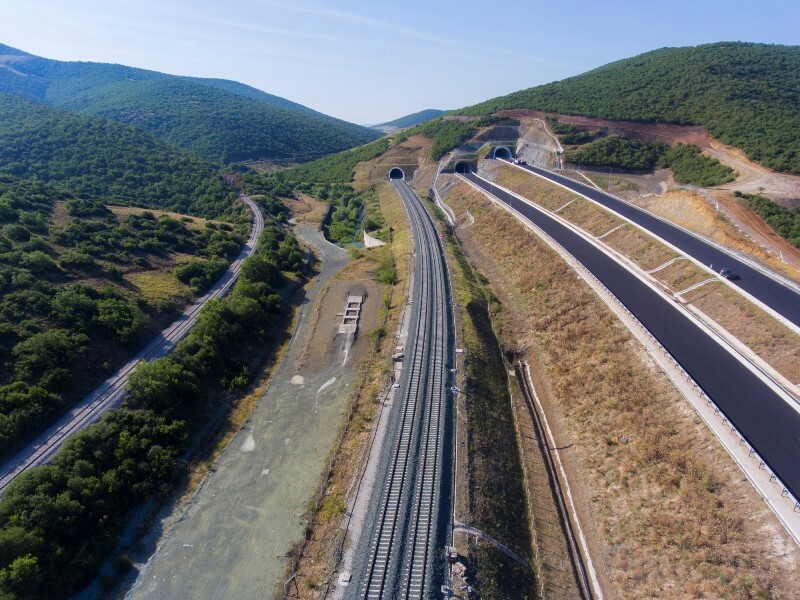 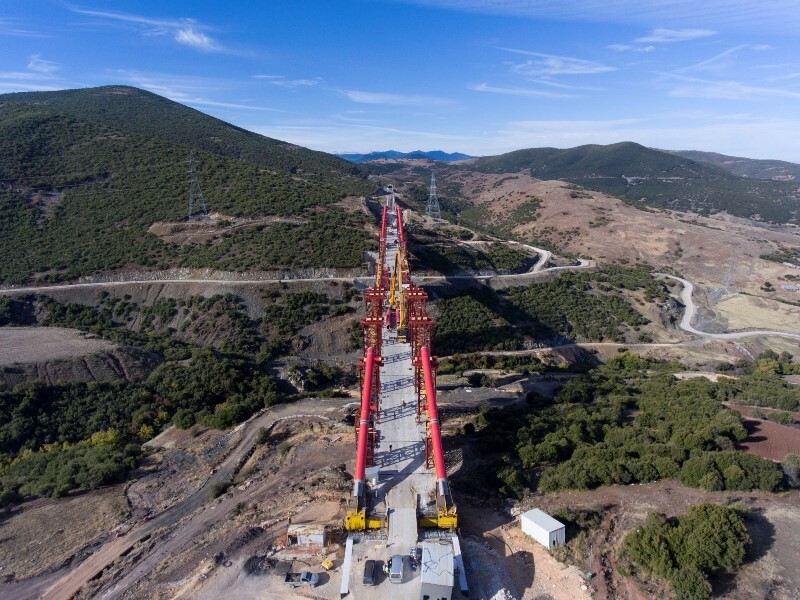 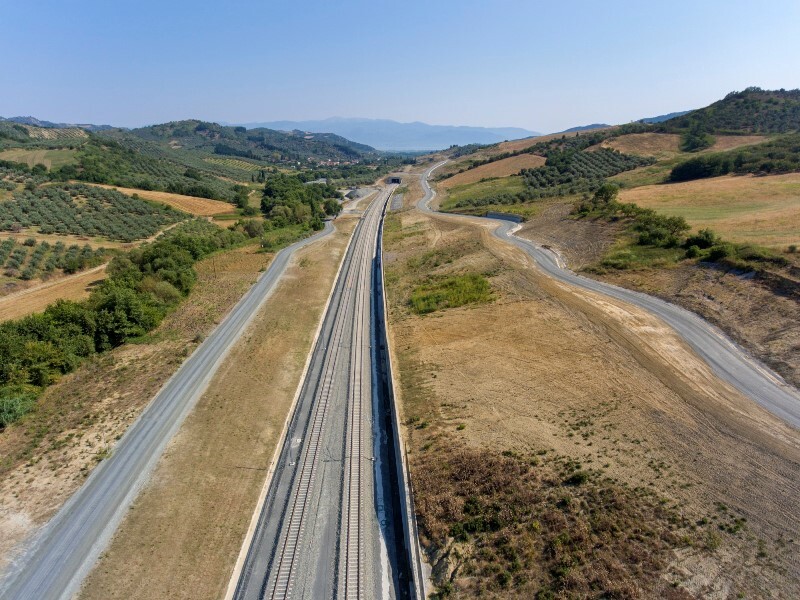 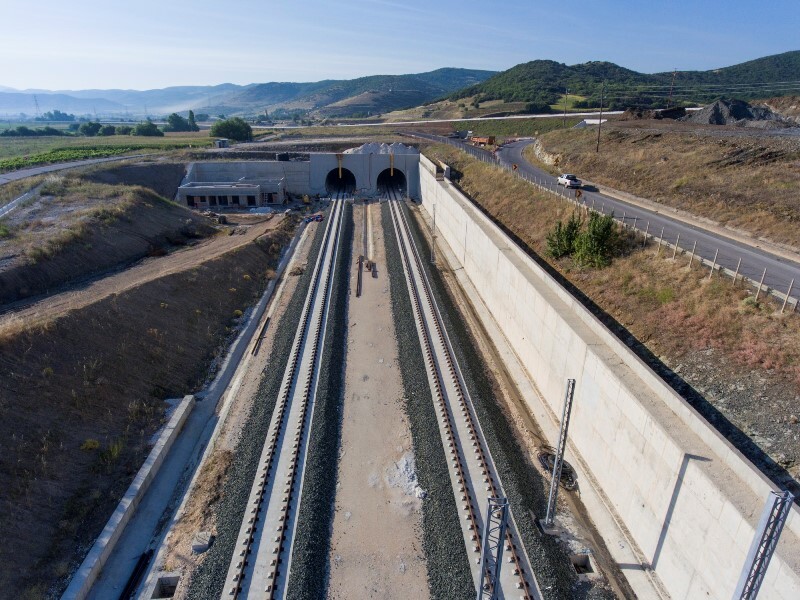 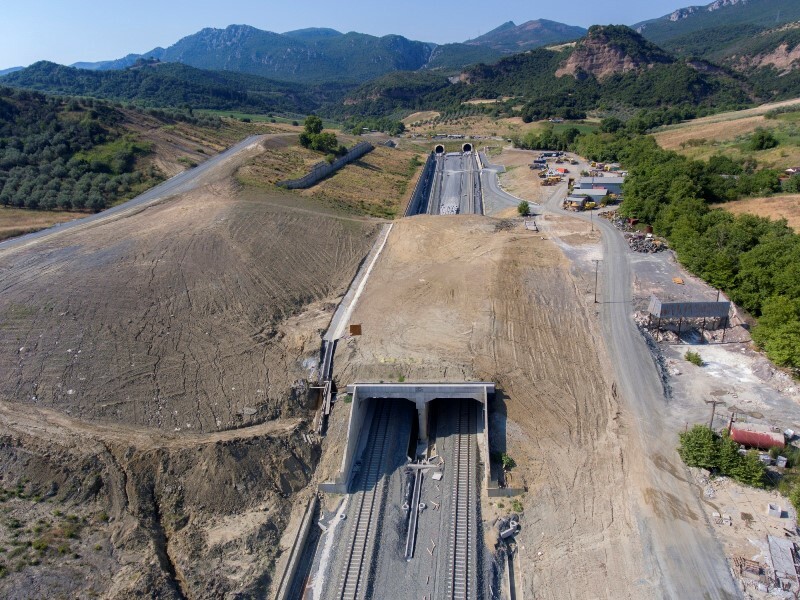 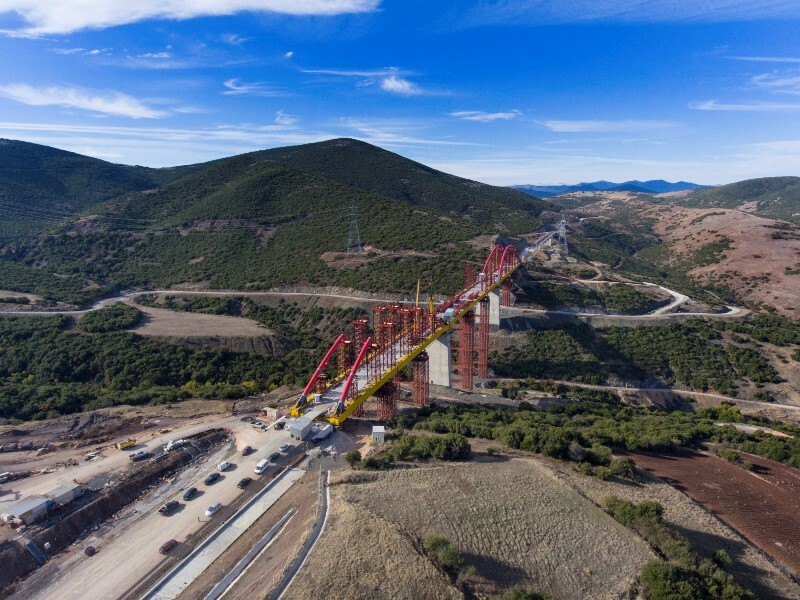 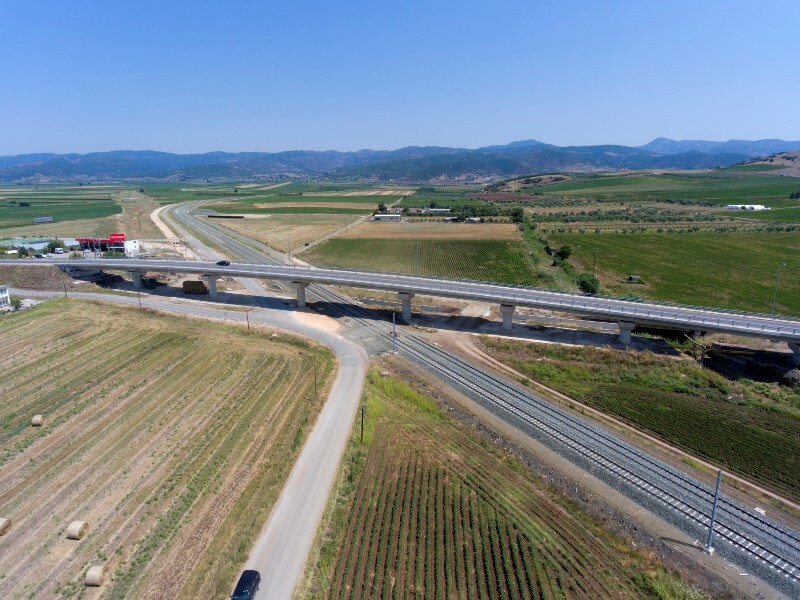 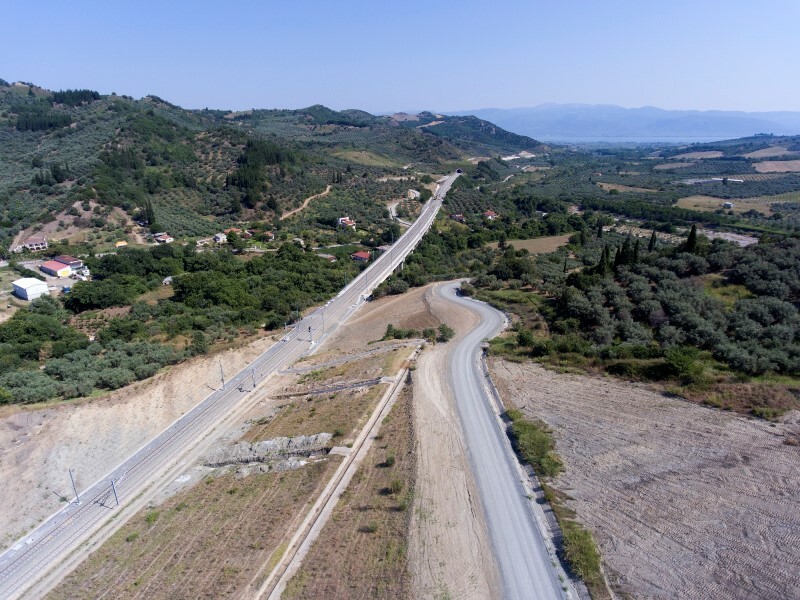 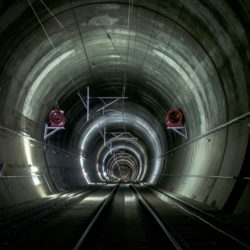 The new alignment has been designed for speeds of 160-200 kph, starts from Tithorea Railway Station, moves east crossing the Kallidromo mountain with a twin tunnel, 9,038 m long each, follows a flat course through the Sperchios river valley and ends up at Lianokladi Railway Station. 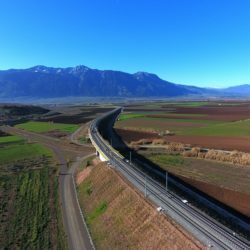 Then, it crosses the Othris Mountain with a twin tunnel, 6,380 m long each, follows a flat route through the dried-up lake of Xiniada and goes up to the mountainous area of Domokos until Domokos Railway Station. 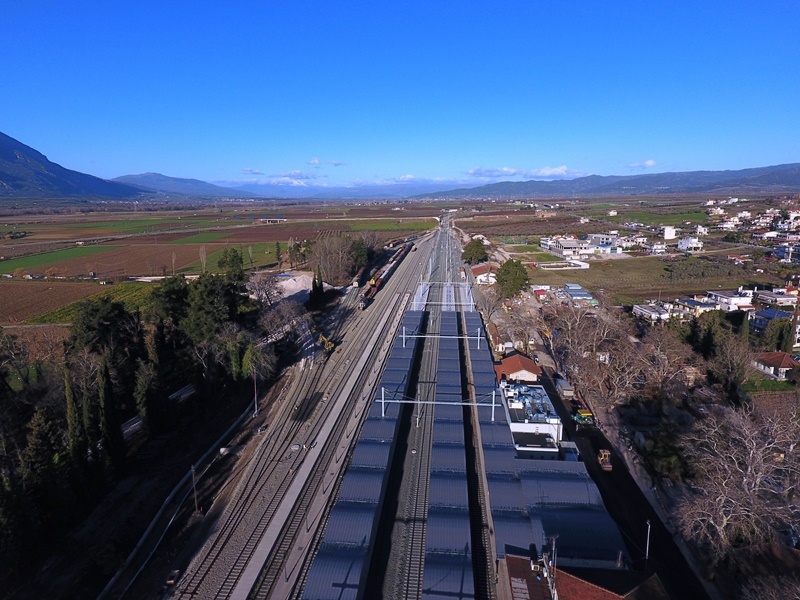 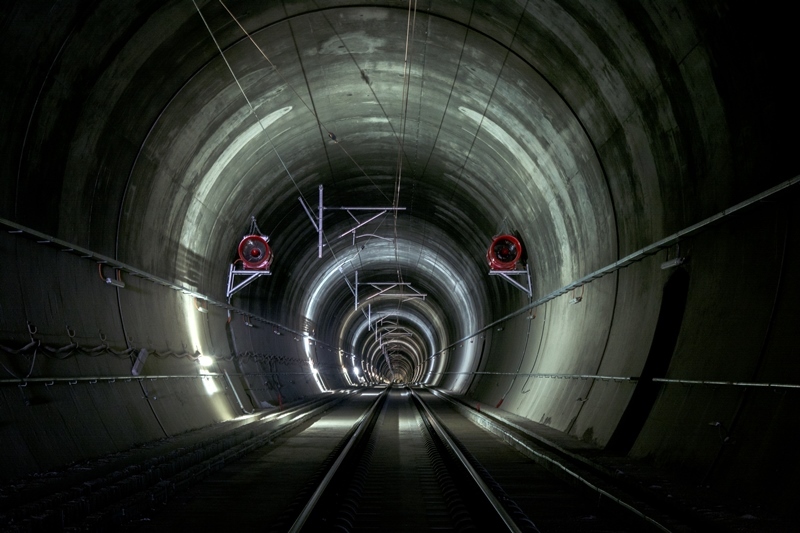 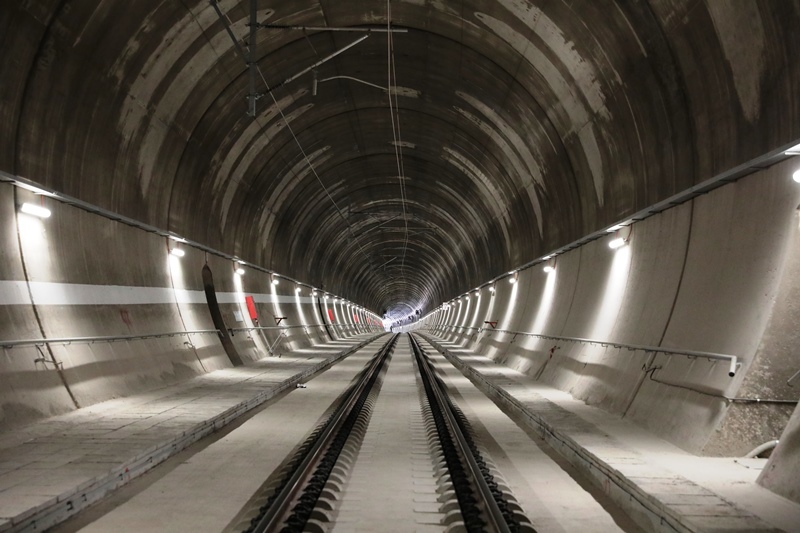 A construction contract is currently in progress, which will complete the infrastructure works, involving the construction of the superstructure (ballasted track in the open sections and slabtrack in the tunnels), signalling, telecommanding, ETCS level 1 and electrification. 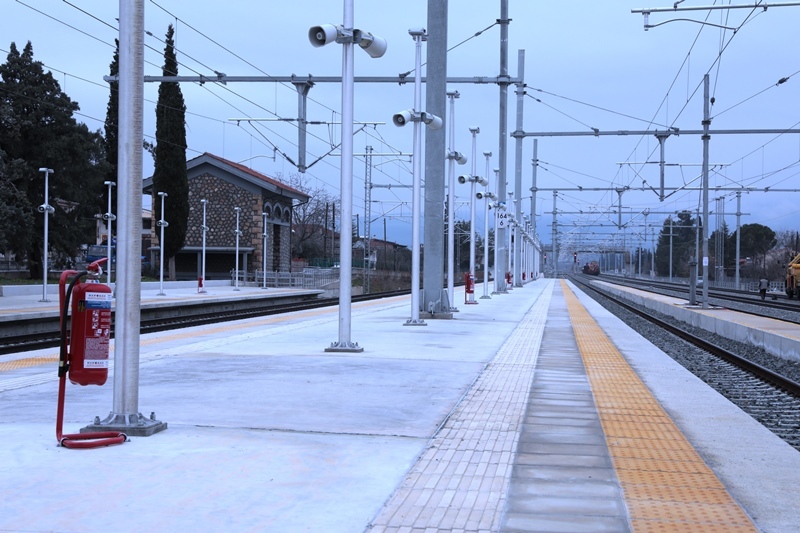 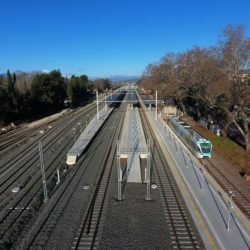 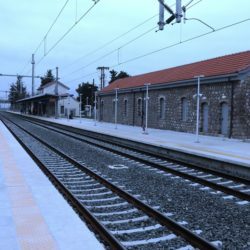 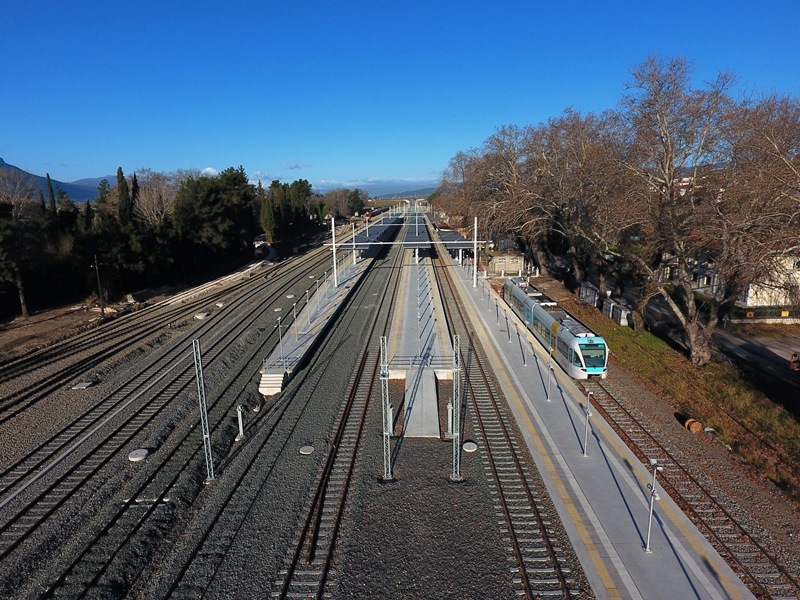 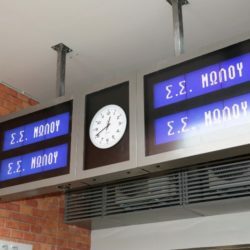 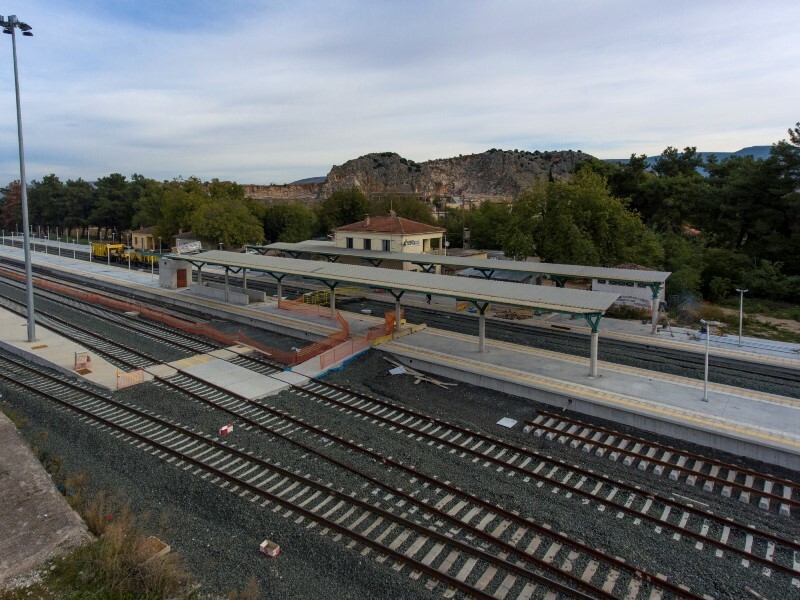 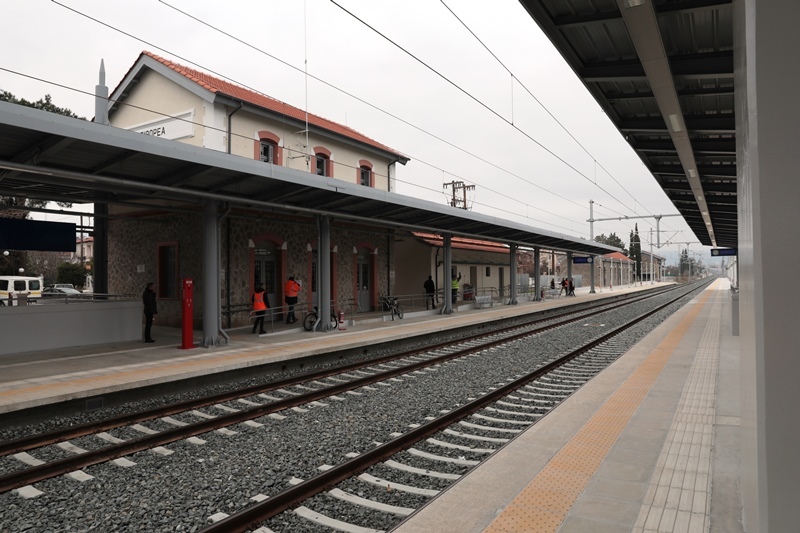 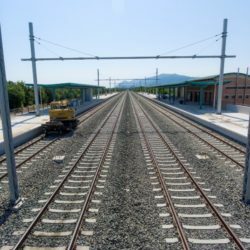 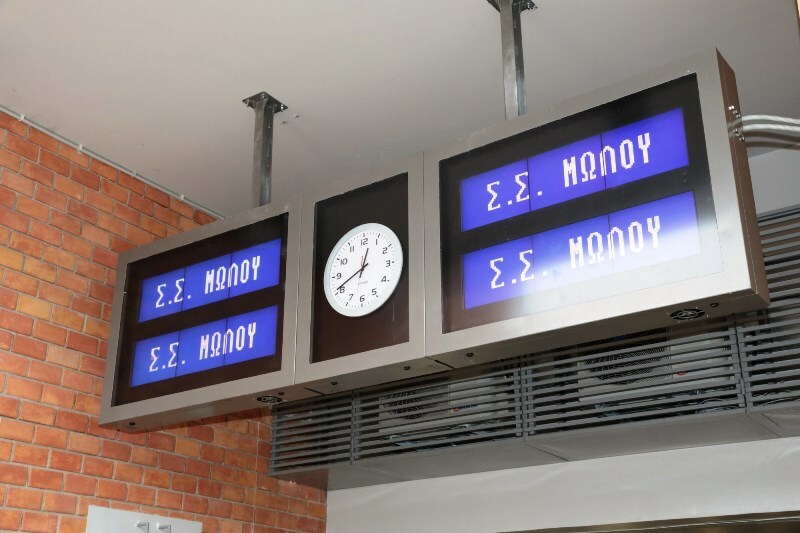 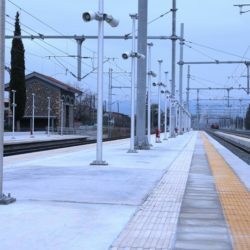 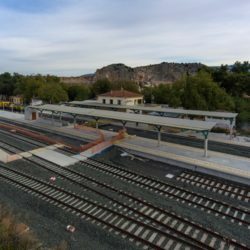 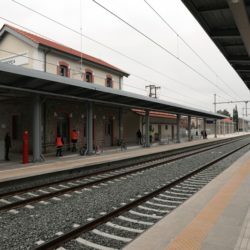 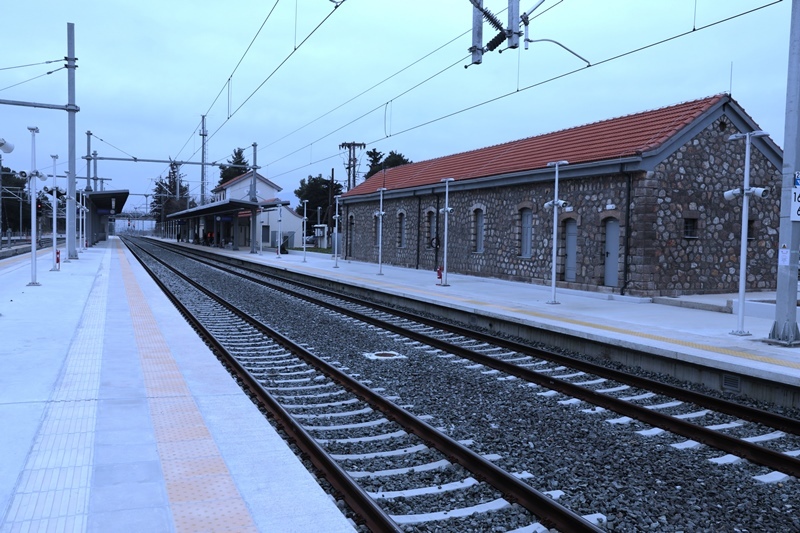 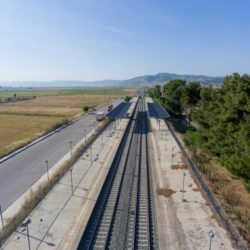 • 2 new railway stations at Molos and Agios Stefanos and two new stops at Aggies and Thavmakos. 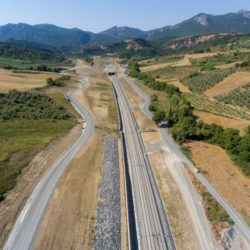 restoring discontinuities in the Trans-European Networks, part of which is the PATHE/P railway axis, which includes the present Project.